No overview of Glasgow suburban services would be complete without reference to Whitecraigs on the former Lanarkshire and Ayrshire Railway Neilston branch of the Cathcart Circle. The award winning floral displays have earned Whitecraigs 'Platinum' status in the Keep Scotland Beautiful best kept station competition. 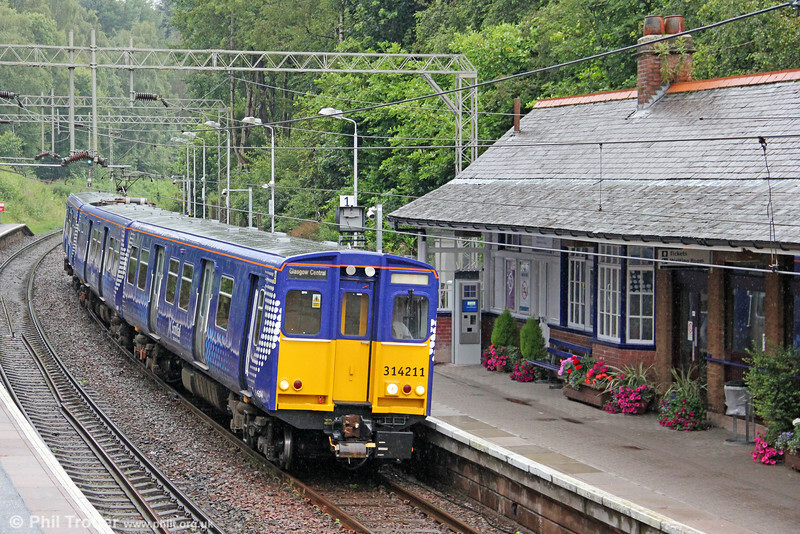 Saltire liveried 314211 calls forming 2N35, the 1748 Neilston to Glasgow Central on 5th August 2012.